10 years after the events of xxxHOLiC Shunmuki, a melancholic Kimihiro Watanuki has taken over the shop formerly run by the mysterious Yuuko due to a promise he made to her. His companions Maru, Moro, and Mokona live together with him in relative contentment, and some familiar faces arrive every now and then: former rival turned-steadfast friend Shizuka Doumeki, and the former psychic prodigy Kohane Tsuyuri. While Kohane studies folklore under Doumeki at university, they encounter a case that is perfect for the master of the shop. Eventually, Watanuki receives a visit from Doumeki's grandfather, Haruka. 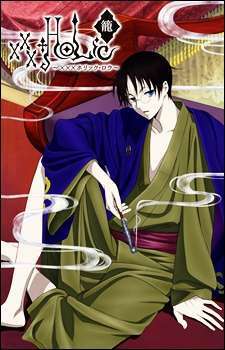 He requests that Watanuki investigates his grandson's dreams. While inside the dream world, he discovers how their past adventures played out from Doumeki's perspective of view, leading Watanuki to discover truths from 10 years ago and secrets about the ties that bind their friendship.